Well, we've finally gotten seen the main-competiton's sole American entry: un film Hollywood de Doug Liman! But if we're being honest, Liman isn't the reason his movie is in the festival. "Fair Game" turns the Bush II White House's outing of the CIA agent Valerie Plame into a slick thriller. 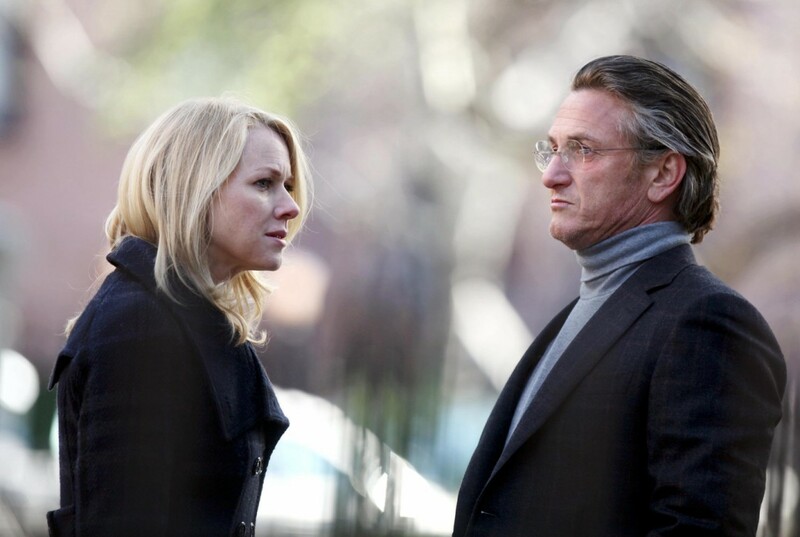 It has stars (Naomi Watts and Sean Penn, as her husband, Joe Wilson), and, almost as important, serves to make people mad all over again about the case made to invade Iraq 7 years ago. That's its appeal. For an hour or so the movie is well-made entertainment. It's just over so abruptly -- with Penn running around America giving college lectures begging students (and us) to demand the truth -- that it feels like a retroactive petition more than it does a movie. Which from the festival's standpoint is fine. By including it, Cannes adds its signature along with Penn's and Watts's. For almost an hour, the film is more than that. Watts, as Plame, works the field in the Middle East and Pakistan. She returns to Langley and, with her colleagues, tries to parse the White House's assertion that Iraq is amassing an arsenal of WMD. The CIA's intelligence is ignored, and the war begins. But Plame's husband, who's sent to Niger on a CIA fact-finding mission, writes his now-famous newspaper editorial, claiming the administration lied about the sale of uranium to trump up the case for invasion. The White House, represented by a perfectly snooty Scooter Libby (David Andrews), then leaks that Wilson's wife is an undercover agent, which is illegal. This is the first movie I can think of about spies in which it's the husband who sits on the steps as his secret-agent wife slips out the door at the crack of dawn. It's a good twist: How do you love a woman whose life is classified? But Sean Penn does long-suffering for only a few scenes. Wilson leaps into the talk-show circuit to defend Plame. Penn often squints and puckers and furrows his brown like a man listening to questions on a Sunday-morning talk show long before Chris Matthews calls. Liman is in his element. He keeps things moving as capably as he did with his other spy films, "The Bourne Identity" and "Mr. & Mrs. Smith." The movie actually interacts with TV clips of the actual players rather than using them for background noise -- cable news is as much a character here as any person. The best stuff in this film, written by Jez Butterworth and his brother John-Henry, involve Plame's working with her colleagues in Langley; an American doctor (Liraz Charhi) who Plame recruits to gather intelligence from her scientist brother in Baghdad; and the Wilsons' friends, of different political persuasions, talking about the headlines over dinners. "Fair Game" doesn't explore much. We get short scenes of Plame talking to shocked girlfriends -- or not talking -- after her outing. What the outing does to her career and social life is a movie in itself. Even though the marriage hits the rocks, you're not mean to worry about that, either. This is a movie that wants us to remember that the government lied. For some people, propaganda doesn't belong in the festival -- at least that's what I assume all the boos were about during the final credits. Liman is hardly going for art and stops going for a intelligent thriller too soon. "Fair Game" is here to teach the world a lesson, which, apparently, it did. Afterward, a bewildered American colleague ran over to me and a friend. She had just walked up the aisle with an Englishman whose mind was blown. He had no idea the Plame affair happened. Neither had an Italian journalist, who declared it the best film he's seen here so far. His standards are low. But he's not alone in his disbelief. A certain shock and awe is what the movie wants.